End of 2016 and lets see what happened to web through it. The last statistics was in December 2015 , World Wide Web at the End of 2015. Lets look at 2016. 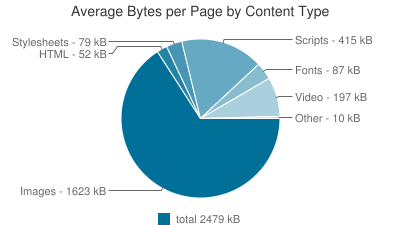 The webpage size has gone up by 10% to 2479kb, which is lower compared to 15% laster year. This is good. The new SVG images are kicking in to reduce data consumption. Video and video background trends are on high, this increased video and gif contributions significantly. These figures are extracted from HTTP archive graphical data, and rounded off to facilitate comparison. Google dominates the market with 59% share. Microsoft was looking to make a comeback during the end of last year with new Edge browser but it looked like hike at launch. Just a few changes here with firefox taking on second spot, and a new member Edge joins the league with its older cousin IE. 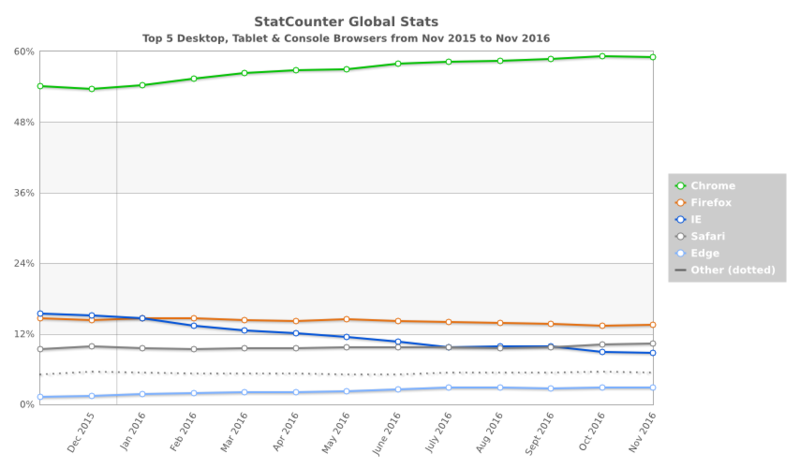 Last year stat counter and most other statistic treated IE and edge as one which brought IE/Edge usage above the firefox, when treated separated they don't make big change to the table. No change to the top spot 1366x768 continues at the top with just less than 1% decline in the share. Even the second spot stays same with a gain in share of 0.88%. 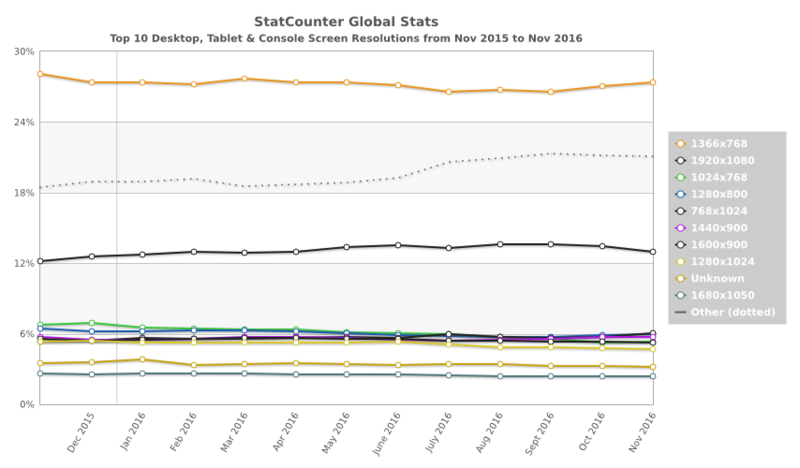 Higher resolutions like 1440x900 are showing a steady growth with manufactures pushing more pixels into the screen. But these high res screens are limited to higher end devices which bring their share down. Designers let's hope for more pixes. Note : The following review was made based on the report from Stat counter Global stats which is made base on the reports received to stat counter, the actual share value may change. These were a few picks that i got my hands on in this year. Rust a systems programming language that runs blazingly fast, prevents segfaults, and guarantees thread safety.